From the earliest days of Christianity, the gospel’s spread has meant the spread of churches—gatherings of Christians for worship, service, and community life. But in recent decades, we've seen dramatic shifts in how the Church has grown. In the 1980s and '90s, we saw changes in transportation and technology near dense population centers allow for the growth of extremely large “megachurches." And in this millennium, when several of those same megachurches began to pioneer strategies to reproduce their community in new locations, we're experiencing the spread of multisite churches. How do pastors translate a sense of mission to a new context? 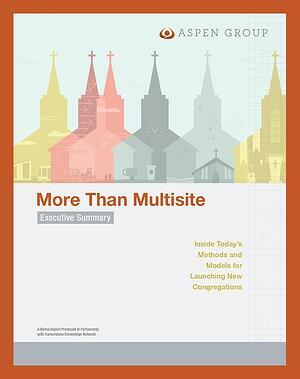 How does expansion affect decision-making about church facilities, finances, and staff? How does a reproducing ministry define success—and failure? What are the risks, roadblocks, and red flags of attempting exponential growth?